BC‘s wine story, just like all other wine regions, is heavily dependent upon it’s terroir. 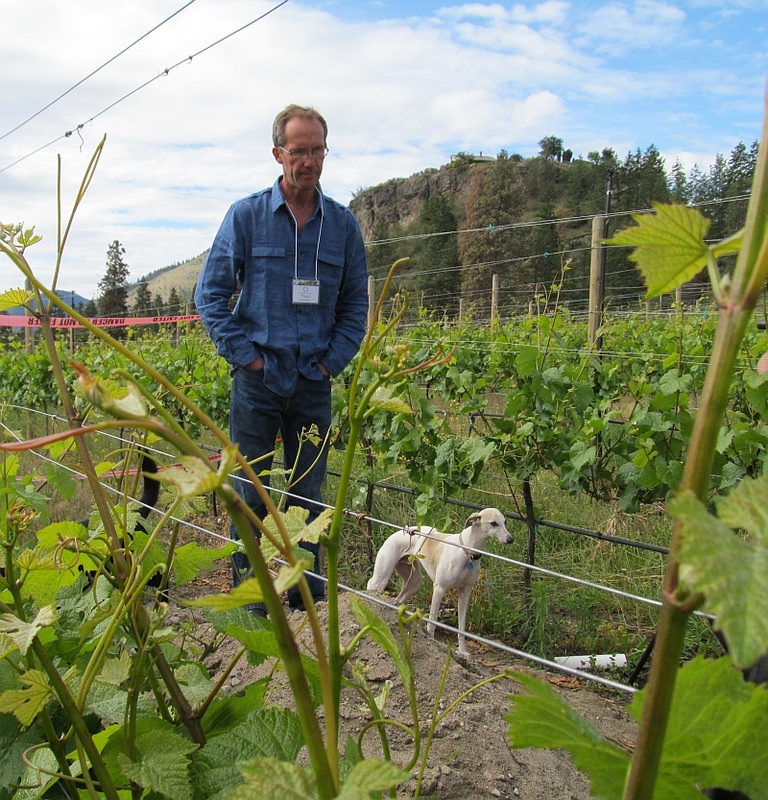 You may have heard of the term terroir, but what does it mean, and what is BC’s wine story? Terroir is a many splendid thing! Depending on who you ask, you may get many different answers, but all the answers share one component, and that is the soil. Without soil, you cannot grow grapes. Some soil is very poor and rocky, while others can be more fertile and rich. Terroir can be very loosely translated as “a sense of place,” which is embodied in certain characteristic qualities, the sum of the effects that the local environment has had on the production of the product. Terroir is often italicized in English writing to show that it is a French loanword. Two other components that can generally be agreed upon is topography and climate. Topography is composed of 3 elements: elevation, slope direction(think compass direction), and steepness of slope. Higher elevations are cooler than lower elevations, north facing slopes get less sun than south facing slopes, and flatter slopes may accumulate more water than steep slopes. Within a region like the Okanagan, our topography is really quite varied with elevation from the valley floor to the ridge tops, and the east-west slopes of the valley to the north, and the flatter areas to the south. Climate too influences terroir. Grapes do need a certain amount of water, light, and heat in order to grow and ripen. In the Okanagan our southern area, around Oliver and Osoyoos, is warmer and dryer than the northern end of the Okanagan around Kelowna and Vernon. There is let alone one story for BC’s wine country, I think there are volumes of stories. 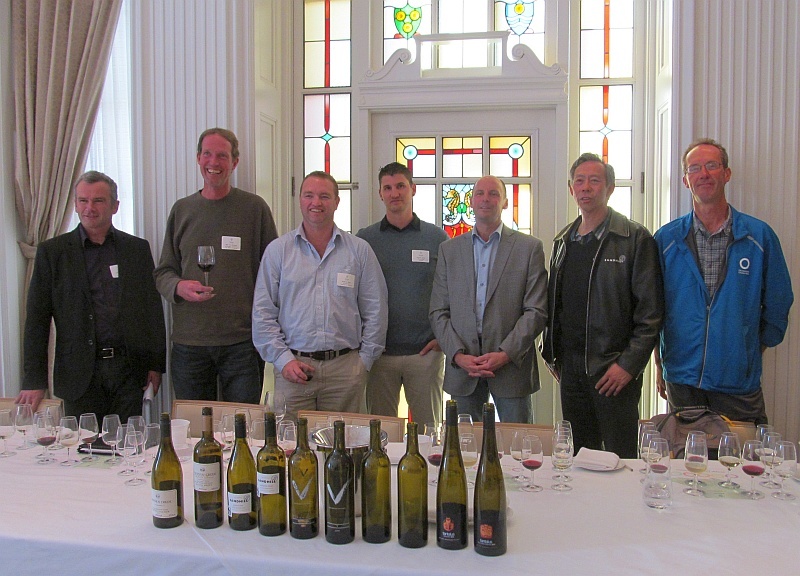 With this in mind, I was invited by the BC Wine Institute to attend a talk by a group of wine makers and viticulturalists from the Okanagan as they described their wine stories and terroir, and how it affected the 2012 vintage. Sandra and Andrew started our seminar. Sandra noted that last year was her 19th vintage. Tinhorn Creek is located in the South Okanagan. With her past experience, Sandra felt that 2012 was a normal year, but was affected adversely in the spring and fall by rain. In the spring there was rain during flowering that caused the vines to grow too much, and in the fall there was rain, which more adversely affected the red grapes, as the white grapes were picked by then. Sandra prefers cooler years, so that the flavours in the grape can reach ripeness and balance out the sugar in the grapes. In warmer years, sugar accumulation outpaces the flavour (or phenologic) ripening. As part of the weather during a growing season in the Okanagan, a viticulturalist, may need to help the grapes ripen by removing leaves to expose the grapes to more sunlight, or may select a certain trellising system to allow more air flow around the grapes for example. In our climate, Andrew Moon, Nathan Goltz, Rob Van Westen, Theo Siemens, and Warwick Shaw, all viticulturalists (Rob is also a wine maker), noted how the sun rose and fell over the Okanagan Valley, and that along the north-south planted vine rows, the eastern facing leaves would be removed to permit more sunlight to ripen those grapes. The amount of leaf removal also depends on how cool or warm the season is overall. Many of the vineyards are planted in a north-south direction, in part due to the cooling/heating pattern of the sun, and in part by topography, If the land slopes from north to south, it makes sense to plant in that direction. It helps with drainage, as well as allowing air flow to be unimpeded downslope (which can help prevent frost pockets – my comment). In the Okanagan the 2010 and 2011 seasons were both cool and required leaf removal from the vines. Howard Soon noted that with the sun in the valley the morning sun helps the white varieties, while the evening sun is better for red grape varieties. Also part of terroir, is what is growing around the vineyards. Indigenous plants may play a role in how a wine tastes. There was one wine maker comment that many people can taste sage from wines produced on the Black Sage Bench. In Australia, as another example, many people say they can taste eucalyptus in the Cabs and Syrah, due to the many eucalyptus trees in the area. We also have large water bodies in the Okanagan, which can moderate the temperatures in the valley. This “lake effect” is more obvious in the north end of the Okanagan than the south. 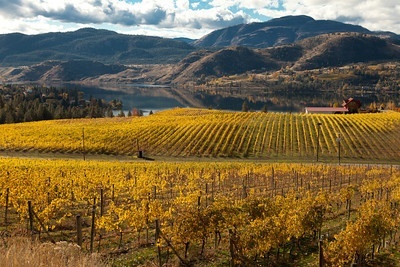 The cooler north end of the Okanagan does affect which grapes do best. We have for example top quality Riesling produced by Warwick Shaw at Tantalus Vineyards. Watering the grapes also affects their outcome. Rob Van Westen and others noted that they used to hold back on watering their vineyards to stress the vines, making the roots go deeper to get water. This is a prevalent theory around the world for producing top quality grapes. But now Rob and others now just hold back on watering for 2-3 weeks after berries start forming to control their size,but then irrigate through the rest of the season. Rob noted that too much “deficit” irrigation produces harsher tannins in the red grapes. Continuous irrigation helps to produce finer, softer tannins. This was true with the glass of Van Westen V 2009, Bordeaux red blend, which we sampled during the seminar. It was soft and round in the mouth, but only on the finish did you feel firmer tannins. As I mentioned earlier, soil is very important. The vines pull nutrients and water from the soil to help produce the grapes. Wineries pick their vineyard locations based on the slope of land, elevation and other factors. But sometimes you don’t know everything about the soil when you buy a new plot of land for grapes. Michael Bartier and Theo Siemens from Okanagan Crush Pad literally dug down in the soil to find out more about what is below, and this guided what variety of grapes they would plant, as well as what clones for a particular variety they would plant. In part by digging trenches, and part, using geophysical techniques from a Chilean terroir expert, they produced a very sophisticated map of their vineyard soil and bedrock, and as I mentioned, used this map to help plant their vines. I should also mentioned that all the other wine makers proudly showed maps of their vineyards as well, and how they divided up the vineyards into smaller blocks of different grape varieties. Our dry climate in the Okanagan helps to control molds and mildews, so we need to use very little pesticides, herbicides, and fungicides. In keeping with the letting terroir come through, some of the viticulturalists talk about being organic, using less commercial fertilizers and more organic fertilizers, having cover crops between the vineyard rows, and allowing chickens and soon sheep to wander between the vines to help control weeds and to add their own fertilizer to the soil. Some of the wine makers also ferment their grapes using the native, indigenous yeasts, found on the grapes. They noted that these wild ferments work best if your vineyard is very healthy. Overall the wine makers noted that 2012 was not as scary a vintage as 2011. 2011 was a terrifying vintage with a very cool summer, and it was only the sun that came through in September and October that helped the grapes reach maturity. 2012 was much more in the normal range of summer temperatures, but did have the 2 untimely rains; in the spring and then again at harvest time. When you buy wines take note of the vintage, check out what the weather was like for the vintage, and see if you can tell a difference in the wine. If it was a cooler vintage, do you taste and smell more citrus on the whites, is their a bit of greeness on the reds; and if it was a warmer vintage, are you getting more tropical fruits and lower acidity on the whites, and riper dark fruit flavours and more plush mouthfeel on the reds? I also highly recommend going out to the wineries, visit them, drive around to the vineyards. What does the soil look like? Are the vines on a steep slope? Is the soil rocky? Is the vineyard near the top of a ridge, or down in a valley floor? Is the area really hot and sunny? I find that going to the wine region, finding out these details, really helps me better understand and appreciate the wines that were produced there. I hope it helps you too. Thank you to the BC Wine Institute for putting together this seminar.